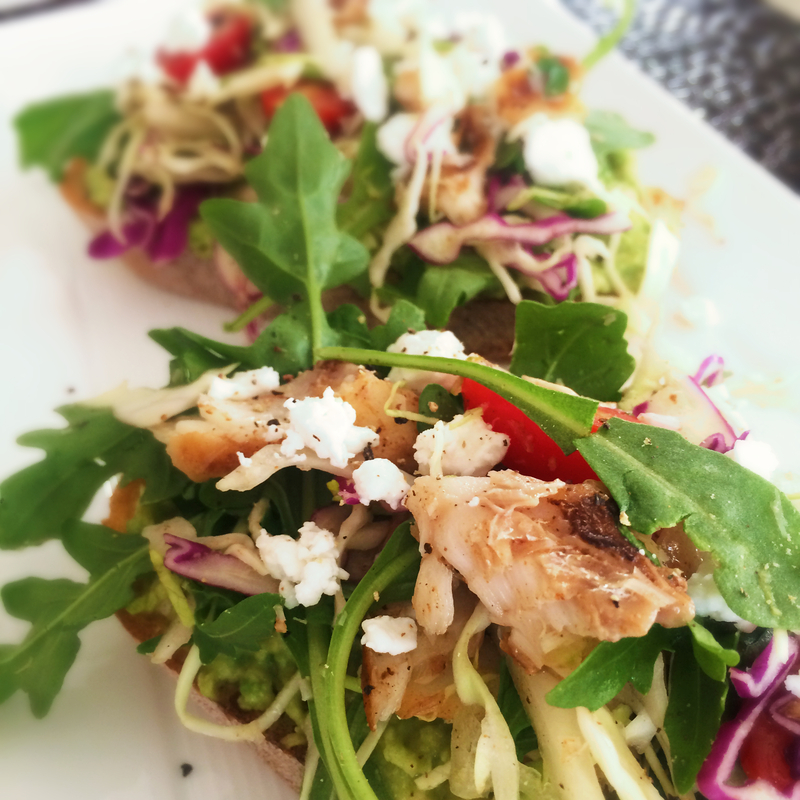 Last weekend I was inspired to make a Wild Atlantic Cod Salad Avocado Tartine, or toast. My inspiration was a cute place in Kaka’ako area in Honolulu called ARVO Café. It’s a cute little space with indoor and outdoor seating. Which is limited to two people. It’s very cozy which gives you the feeling of a neighborhood café and a little edgy. The plants all over give a warm and inviting feeling. 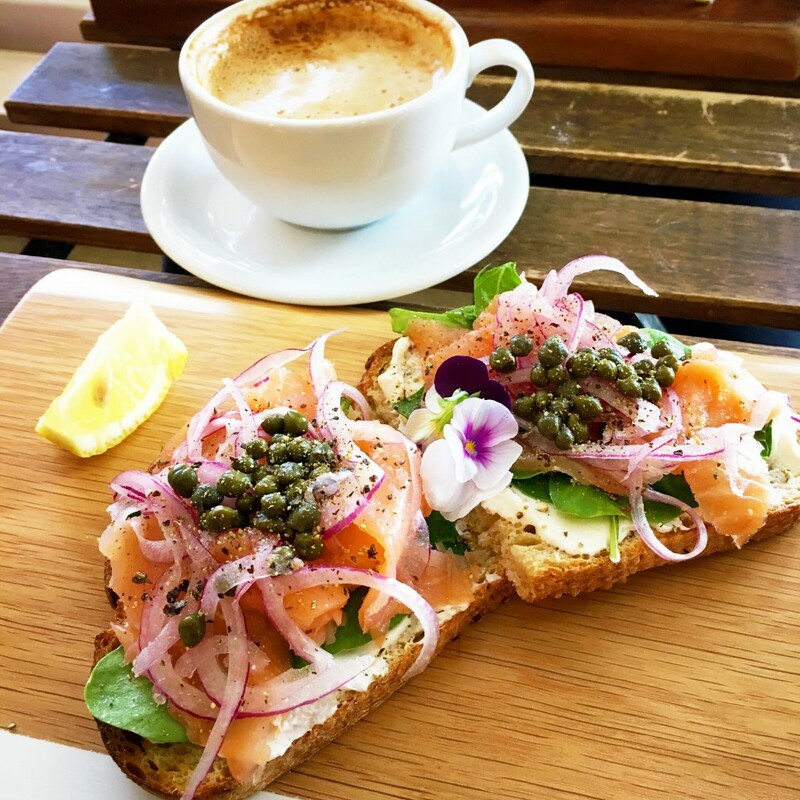 Their menu choices are different toppings on toast, all reasonably priced with various espresso drinks and tea. I was inspired by the simplicity of their menu. So I decided to give it a try with my own spin. Ingredients that would always have on hand. After all, I am all about quick easy and simple. Mash Half Avocado in a small bowl and season with salt and pepper. Set aside. Season Atlantic Cod with salt, pepper, & Mexican seasoning. Grill fish 3-4 min depending on thickness of fish on med-high. Once cooked shred and toss with mixed salad. Add sourdough toast and toast to your liking. Take toasted bread rub garlic clove to desired garlic flavor. Spread avocado mixture on toasted bread. Place Atlantic Cod Salad onto bread and plate. Placing a slice of lemon to deizzle on top before eating. I hope this quick recipe will inspire you to create your own Tartine. I’ve made several already. Recipes to come soon. You’re welcome! Looking forward to reading about your next travel adventure. Dear Myra – Your recipe and photo are so yummy. Looking forward to connecting, sharing and inspiring each other. Great day to you. Thanks Janice! I’m so glad you enjoyed the recipe. Let’s definitely get together again soon.